You are welcome to place an order with Vintage Playtime at literally any time - 24 hours a day, 365 days a year. And regardless of when you make it, your order will always be dispatched in accordance with the following Delivery Timescales policy and governed by our Cancellations, Returns & Refunds policy as explained below. An order received before 12 noon on Monday to Thursday will, where possible, be dispatched on the same day. If this is not possible, then it will certainly be dispatched the next working day. Where an order is received before 12 noon on a Friday, we will endeavour to dispatch the item on Saturday when it has not been possible to dispatch on the same day. Orders received after 12 noon on Monday to Thursday will be dispatched the next working day. If your order is received after 12 noon on a Friday, then we will still endeavour to dispatch on Saturday where possible. All orders placed at the weekend will be dispatched the following Tuesday (except where that Tuesday falls on a public holiday, in which case orders will be dispatched the working day immediately following the public holiday). Please note: orders placed before 12 noon on Monday to Friday using our 'ASAP Delivery' option are guaranteed to arrive the following day. Orders placed after 12 noon, at the weekend or on a public holiday will be dispatched the next working day to arrive the day thereafter. Please see below under 'Delivery Methods: Domestic (UK)' for more information about our 'ASAP Delivery' service. If you would like to pay using PayPal, BACS Transfer or debit or credit card, then please see our Payment Options page for full details. 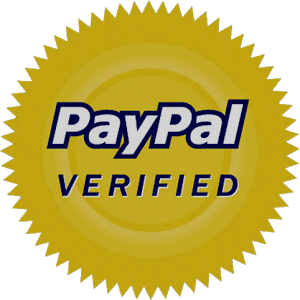 Although PayPal, BACS transfer and debit or credit card and are our preferred methods of payment, we also welcome payment by cheque, cash and Postal Order. As you would expect, cash must first be received and cheques and Postal Orders cleared - upon which goods will be dispatched either the same or next working day. Again, where possible we will endeavour to dispatch your order on Saturday when cash is received, or a cheque or Postal Order clears, on a Friday and it has not been possible to dispatch the same day. Orders made using cash received, and cheques and Postal Orders cleared, on a Saturday will be processed and dispatched the following Monday (excluding Bank Holidays). If you would like to pay by either cheque, cash or Postal Order, then please see our Payment Options page for full details. Please note: we strongly advise that cheques, cash and Postal Orders are sent to us by registered post (e.g. Recorded or Special Delivery) as neither Vintage Playtime or its owners can be held liable for any loss incurred by reason of monetary item(s) missing in the post. Items shown as being "in stock" are always in our physical possession and ready for dispatchment in accordance with the above timescales. However, when we are requested to secure a game that is either out of stock or not featured in our online shop, there will naturally be a greater delay between the time of purchase and dispatchment as those goods must first be ordered from a supplier and delivered to our business address. In this case, your order will be sent to you the working day after we receive the goods. Please rest assured that we will keep you up to date every step of the way! Items may be sent by either 'Standard Delivery' or 'Recorded Delivery' - you may choose which during the initial phase of your online transaction. If you require a guarantee that your item(s) will arrive the following working day, then you are given the option of fast-tracking your order when using our online shop. Simply choose the 'ASAP Delivery' option during the initial phase of your transaction to ensure that you receive your purchase as soon as possible. Customers who do not wish to use our online shop facility when making a purchase will be informed of the various delivery options available during pre-transaction correspondence. Please visit our International Orders page for general information on orders for delivery to a non-UK destination. With regards to returning purchased goods and the cancellation of orders, the following applies in respect of postage costs and refunds. Regardless of whether you are seeking to return the goods because they have been damaged in transit or simply on the basis that you no longer want them, a refund will be given provided that you contact us within seven days of receiving your goods (which is deemed to be the second working day after dispatchment) to advise us of your intention to return your order. But please note: that under no circumstances will a refund be given until the goods in question are returned and failure to make acknowledged contact by any method within the stipulated timescale will mean that we are unable to offer a refund (whether partial or in full) or accept return of the goods. Therefore please ensure that you have spoken with us to discuss your reason for wishing to return the item(s) and to confirm the return address before posting. We will always acknowledge any correspondence received: and so if you have not heard from us within 24 hours of attempted contact, please try again as we have failed to receive your message. In the highly unlikely event that your goods are lost in the post, a refund will only be given where those goods were dispatched using a trackable method (i.e. 'Recorded Delivery' or 'ASAP Delivery' for domestic-bound orders or 'Tracked and Insured Delivery' for international-bound orders). Bearing in mind our Delivery Timescales policy (as explained above), if you contact us to cancel your order before we dispatch your item(s) then no cost will have been incurred on our part and a full refund will be given accordingly. Again, you are reminded that we will always reply to any correspondence received: and so if you have not heard from us within 24 hours of attempting contact with us, please try again as we have failed to receive your message. If it should transpire that you had attempted to contact us to cancel your order before goods were dispatched, then providing that the failure to receive your communication lies with us, we will pay you in advance for the cost of returning those goods. As always, if you have any questions regarding our policies or procedures, please do not hesitate to get in touch via our Contact page.